Fifteen-year-old Elizabeth Harrington has a vision. Born with anophthalmia—without eyes—her vision does not depend on her ability to see. 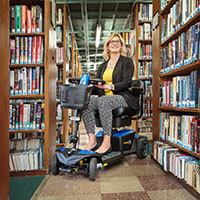 It is not hindered by her cerebral palsy or her eye prosthetics. Instead, this vision is what drives her to fulfill her Hollywood dreams and what caught the attention of award-winning independent filmmaker Tim Greene. 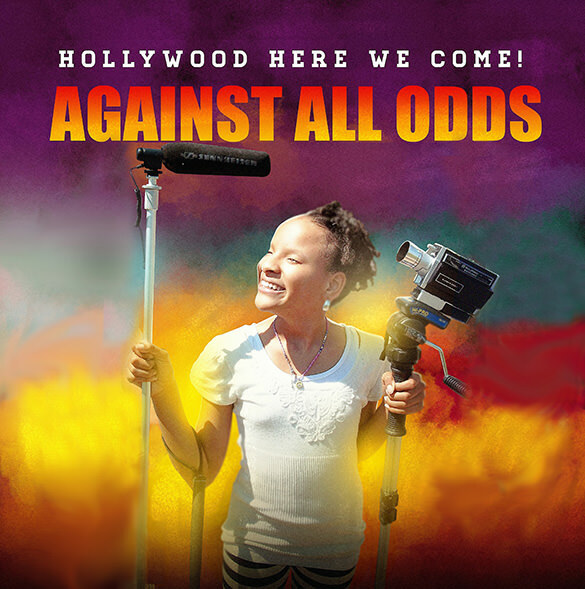 Elizabeth's current film project, directed by Greene, is a documentary entitled Hollywood Here We Come which chronicles her journey to Hollywood to make a short film and walk the infamous red carpet. Not only will this heartwarming film showcase Elizabeth's steadfast determination and directorial savvy, but the soundtrack will feature the musical talent of singers and musicians with disabilities. Greene and his young protégé are determined to give a voice to the voiceless and have engaged Indiegogo—a crowdfunding site—to help fund the completion of the film and soundtrack project. 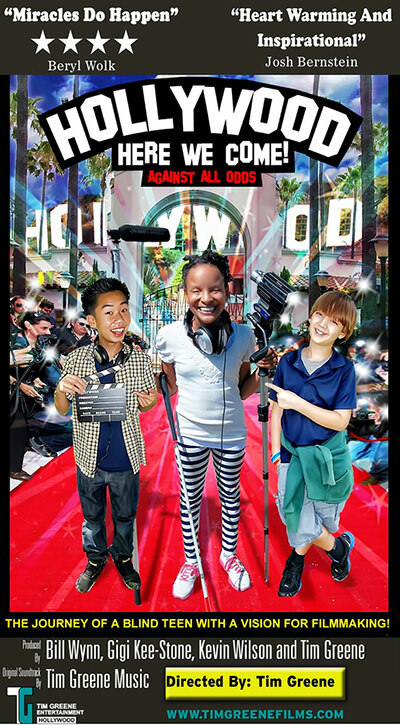 If the filmmakers meet their funding goal, they plan to put on a free, inspirational red carpet actor/filmmaking workshop for kids and adults with disabilities in Hollywood, California. Visit http://www.indiegogo.com/projects/hollywood-here-we-come to support their efforts and make Elizabeth Harrington's dream come true. 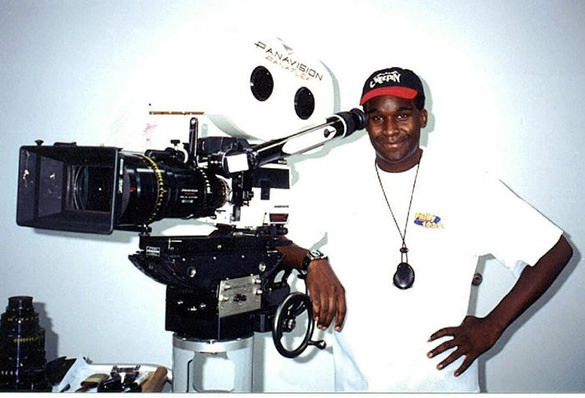 It all started more than six years ago when, at the age of nine, Elizabeth met Greene at the Wilmington, Delaware stop of his national filmmaking/acting workshops. She auditioned for him by performing a Disney-themed actors monologue. Though more than 200 other children and adults were vying for acting parts in Green's future film projects, Elizabeth stood out from the crowd. "I did not even know that she was blind," said Green. "She just stood up, did her monologue and blew everyone including myself away with her bright happy sprit and upbeat personality." Greene was amazed after he found out that Elizabeth was blind, and promised that he would work with her in the future. True to his word, Elizabeth appeared a guest on his radio show from time to time to do inspirational segments. Greene marveled at how Elizabeth inspired everyone who came in contact with her, and how she even gave people direction. Why not give her the chance to direct actors on the set of his projects? Elizabeth had aspired to a career in entertainment all of her young life, but not many people would give her a chance to direct or even be on a film set. But Tim Greene is not most people. Unlike most directors who rely on their sight when making films, Elizabeth relies on her keen hearing and other senses to direct actors. She can sense where the actors are on the set, whether they are upstage, center stage or even down stage right. "Mr. Greene has helped me learn the trade of acting and directing, and I would not trade him for a million dollars," said Elizabeth. She finds other inspirations in such great entertainers as Stevie Wonder and Ray Charles because they too overcame all of the obstacles that threatened their dreams. Elizabeth has joined Greene on the road to encourage his workshop attendees in both Philly and Washington, D.C. Likewise, the duo were featured in a news segment on an ABC-TV affiliate and on radio interviews nationwide, including one on National Public Radio. Elizabeth and her mentor hope that Hollywood Here We Come will be just the first in an inspirational and motivational series. If you are a singer or musician with disabilities and would like to be considered for the current documentary's soundtrack, or if you or someone you know with a disability has an encouraging story to tell the world in future series segments, send your video links and bio to timgreene2012@yahoo.com.